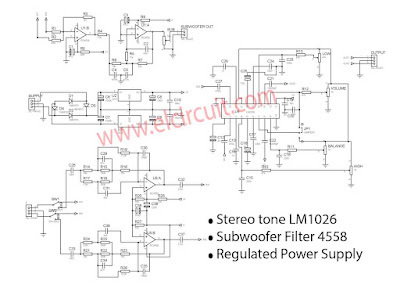 In the above circuit scheme using IC LM1036 for its stereo tone control, why I use LM1036 IC? because, this IC is very good for a stereo tone control circuit which has 4 settings that are low, high, balance and volume. The sound issued using the IC LM1036 is very clean and clear. 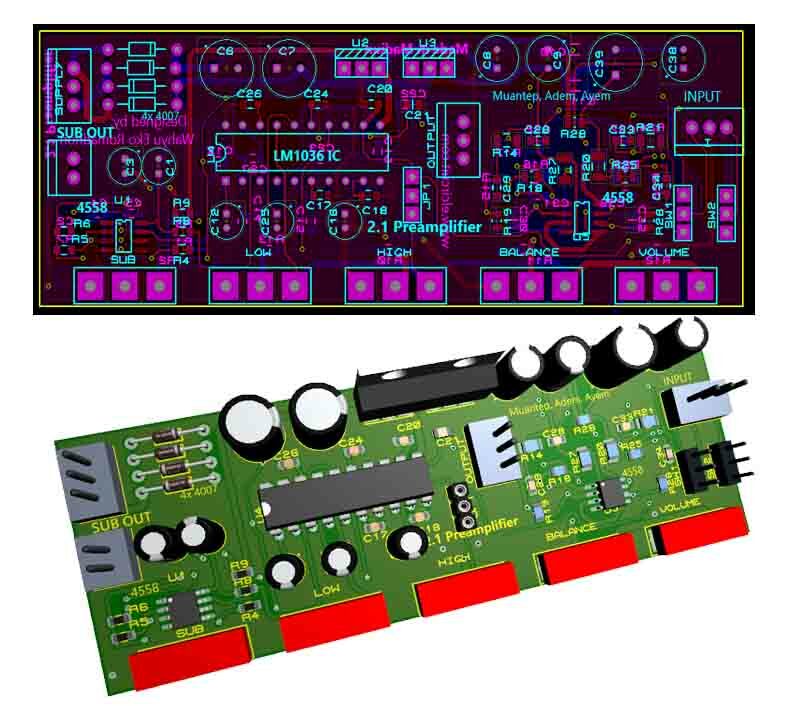 And the stereo tone control circuit using the LM1036 IC is very much in the market, and it costs about $ 15- $ 20 USD and is usually equipped with additional Op-Amp IC. 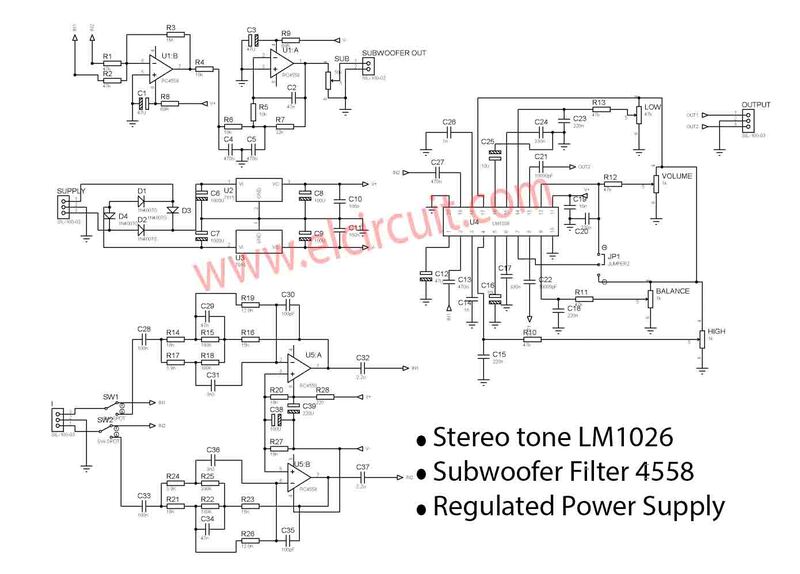 And this is where the excess of this 2.1 Preamplifier circuit, there is a circuit of stereo LM1036 and 4558 preamp and 4558 subwoofer filter that makes your subwoofer speakers more kicked once. 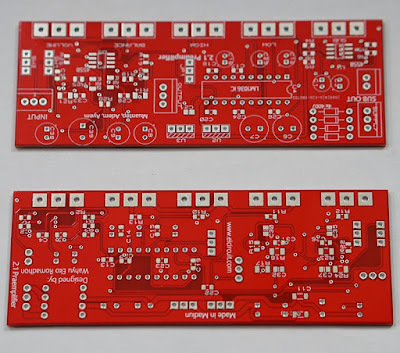 In addition, this HiFi preamplifier 2.1 series also I have equipped with regulator power supply 15V 7815 and 7915 so do not have to bother making a power supply circuit from AC to DC voltage. You just give AC voltage of at least 12V - 24V. 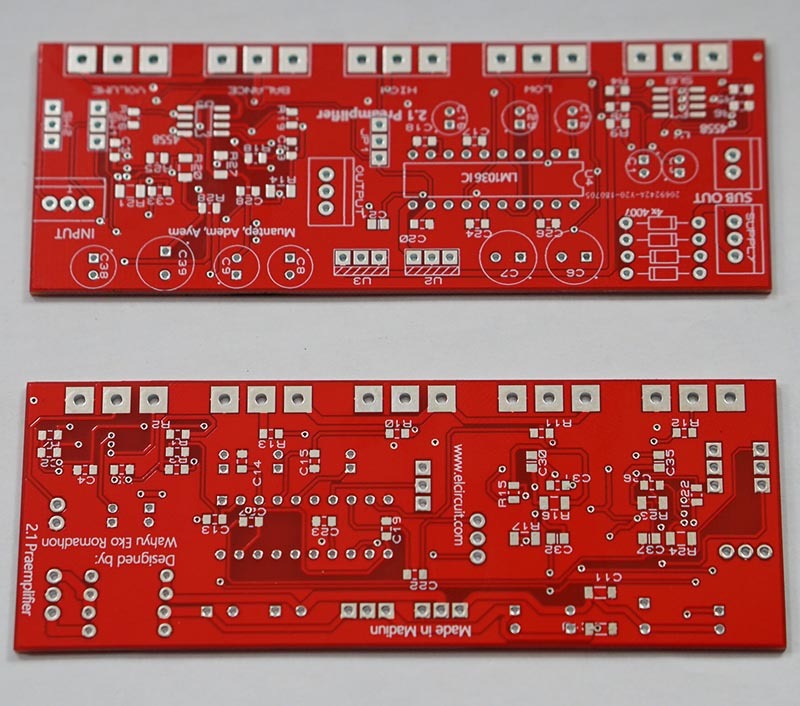 Interested to make this circuit? I have prepared Gerber files and Bill of materials, download link you can see at the end of this post.